Music has always been a strong connection between my mother and me. When she got cancer I was a teenager, and music was very helpful to me for dealing with everything. 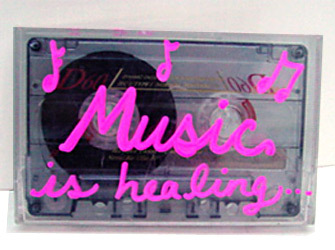 Whether it was my mother and me singing together, or me sitting alone in my bedroom listening to my stereo, music was a key element in the healing process.